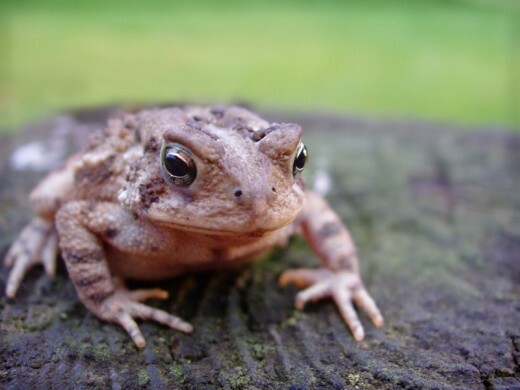 My first pet was a toad. If you really know me, this will not surprise you. I was probably about six or seven years old. We named him Shivers because his sides appeared to be shivering. Shivers was a good toad. He had deluxe accommodations. We had a Styrofoam cooler filled with about a foot of dirt. We buried a large peanut butter container in it so that he would swim or play. We quickly learned that a large rock was also needed in his pool since toads don’t really swim well. He had a longer rock that he liked to sleep under. We gave him rolly pollies, worms and flies to eat. It had a screen lid. Shivers had the life. His house had to stay in the garage. Shivers hibernated one year and was back in the spring, ready to play. The next year, I am not sure if the garage was colder or his time was up. He didn’t come back up in the spring. We realized, he had gone to the Styrofoam cooler in the sky. My husband knows me well. What he loves about me is also what might annoy him the most. I am determined and I can get fixated on a project. He knew we were in the market for a new pet. What he was telling me was don’t buy any pets while I am not in the country. After our conversations back and forth via email, he laid down the law. If we got a new pet, we were getting a dog. No other choices. Only a dog. As a kid, I was a lover of toads. I was never a dog lover. There are a few things about dogs that I don’t enjoy. 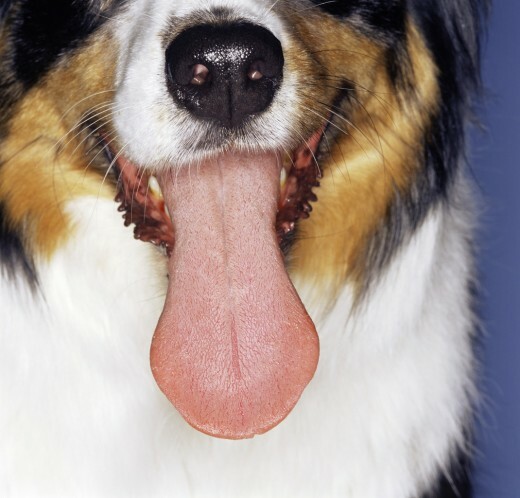 I don’t like slobber dogs. I don’t like dog hair. My husband is bald. I like that. I don’t like dogs that stink. And, I don’t like dogs that are taller than me when standing on their hind legs. So, my list of dislikes was out there. I told him I would get a dog if it would stay the size of a puppy, not shed, be a lap dog, and be super cute. We had a lap rabbit. I liked her. Can your family vacation together every year? Mine can and it is a big group! Find out the secret to "Big Family" vacations. Have you ever thought about couponing? This hub gives you a brief overview and then hightlights one of my favorite coupon blogs! I had tried group fitness classes one time in my life without success. After years of searching, I came back to this fitness forum. See how I went from a skeptic to a group fitness convert. We briefly entertained the idea of a rescue dog. I completely appreciate those who can take in rescue dogs. Since I was a dog novice and I had five little kids, we wanted a puppy. So, the research began. I googled the top dogs for small children. We needed to look at temperament, size, ease of care and it had to be cute. From these lists, the only breed that stuck out to me was a Maltese. I have explained that I am a dog novice. 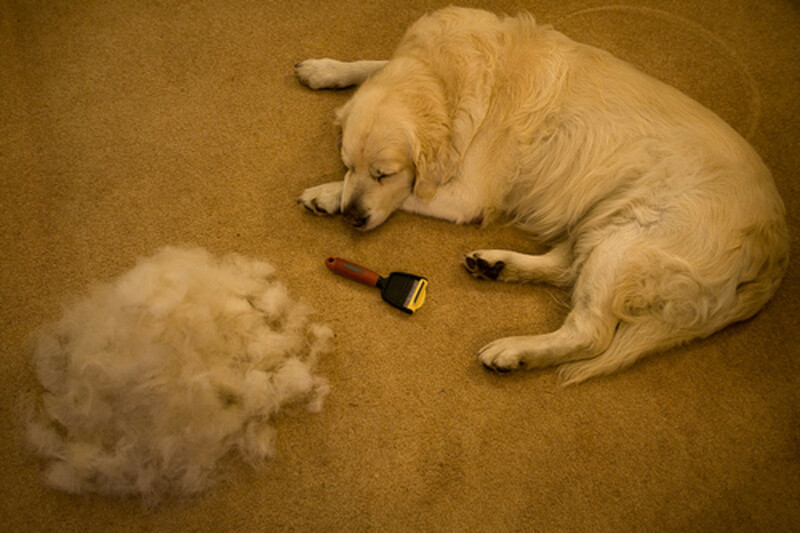 For this reason, I was not aware that dogs existed that actually did not shed. I didn’t realize that my request to NOT have dog fur all over the house was actually possible. The Maltese was small, rated appropriate for kids and it was cute. I began googling now for local Maltese breeders. 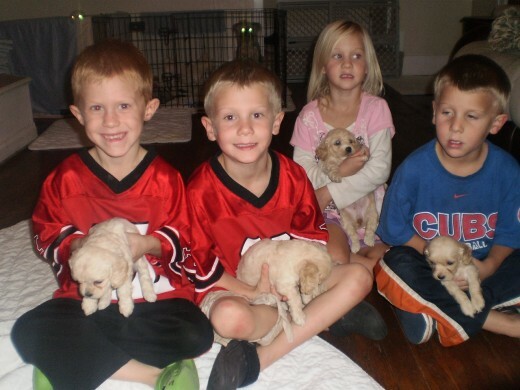 I fell into a Maltipoo breeder. I was clueless. This was a Maltese and a Poodle? This dog was cute and assured me that it was non-shedding. I contacted the breeder and the dog was off to Alaska the next day. I was bummed, but looked at her site a bit more. Then history was made. 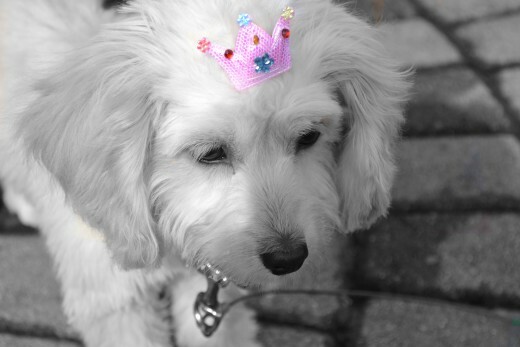 I feel in love with these adorable Cockapoo pictures on http://www.dogtailswaggin.com/. I sent my husband a picture of the Cockapoos. He told me to settle down. I told him I was just researching and wanted him to see that the small, non-shedding, super cute lap dog existed! I am not sure what he was thinking. Actually I am pretty sure I could put a quick list together. But I am sure he knew I was up to something. Now, I need to see if the Cockapoo was really a good family fit. Cockapoos: More Than Just Cute! There are a few different sizes of Cockapoos ranging from teacup toy (under 6 pounds) to maxi (over nineteen pounds). On average, they are about 14-15 inches high. Our breeder’s Cocker Spaniel was a 22 lb. female and the toy poodle was a 5 lb. male. They were estimating the puppies in the litter would be around 12 lbs. full grown. Cockapoos are known for being playful, loyal and a lap dog. I later learned that they also known for following me everywhere around the house, including the bathroom! My husband’s flight landed at 2 pm on a Saturday. At 4pm Saturday, we were heading out to Newark, OH to meet these Cockapoos. I had spent more time on http://www.dogtailswaggin.com, and spoke to Tina Marie. I was excited to meet Tina Marie after our informational conversations via phone. More than anything, I wanted to see the kids interact with puppies. They have seen dogs, but never a puppy. When we entered the house and I didn’t smell dog. I was so pleased! We were only in the market for a female so those are the only dogs they brought into the kitchen. 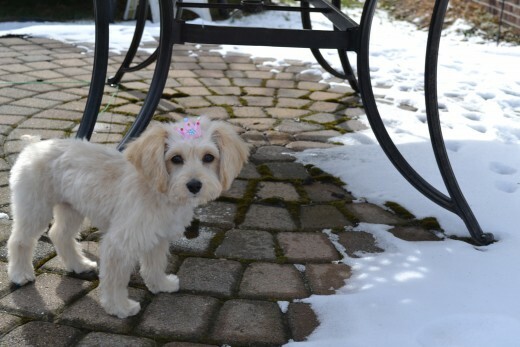 We all played with four Cockapoo puppies, one absolutely adorable toy poodle and a Silkytease. 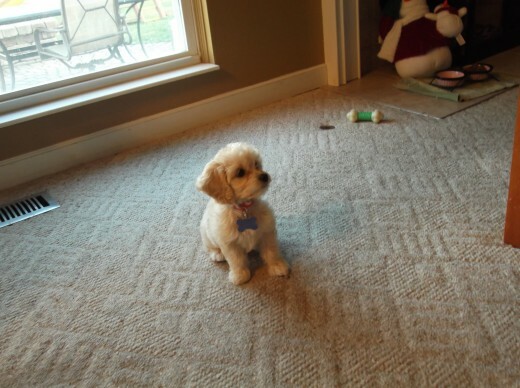 I really loved the toy poodle, but they estimated three lbs. tops for this puppy. I wanted small, but not extra small. We fell in love with the Cockapoo puppies. The kids were so excited. On the ride home, we talked. We were all in love with these puppies. It was late November and we told the kids, the only chance they had of getting a puppy was to talk to Santa. I am not sure if everyone knows this, but Santa can hear you when you talk out loud and look at the ceiling. Knowing this Santa fact, our kids all started looking at the ceiling, telling Santa that they wanted a puppy. They agreed that Santa might not bring any other gifts if they got a puppy. This went on for days. When the puppy was weened, Santa brought home one of the Cockapoos, just like the ones Tina Marie had on http://www.dogtailswaggin.com/. I wonder if Tina Marie was down one puppy! We had a note on the front door. Santa had heard our children’s requests for a puppy for Christmas. Even though it was a few weeks early, our puppy was ready for a new home and Santa knew we would take care of her. When the kids got home from school, they were so excited. They couldn’t believe that Santa stopped by when they were at school. They couldn’t believe that he brought a puppy. The kids agreed on naming her Annie. Their favorite books are the Magic Tree House series by Mary Pope Osbourne. Jack and Annie are the main characters. Annie has been part of the family ever since. Annie had a brief ‘nipping’ period, but we moved thru it quickly. She loves to play with the kids. She loves to go for walks. Whenever I sit on the couch, she is by my side. When Annie first arrived, some neighbors asked if she ran on batteries. She was so tiny. Now, she is about 4 months old and 6 lbs. During the discussion stages, my husband said if we got a dog, she would never sit on the furniture. Every night when the kids go to bed, we sit on the couch. We talk, watch TV or even just play Words With Friends. Annie is always sitting between us. With a Cockapoo as cute as Annie, trust me, that rule was short lived. How Did Our Healthy Puppy Die? I am still in shock. How did our 6 month old puppy die? Yesterday was difficult after our family pet passed away. Today, I can take a more humorous look back on lessons learned. After the sudden death of our family pet, we had some adversity to overcome. What steps did I take in overcoming this adversity? You might be surprised! 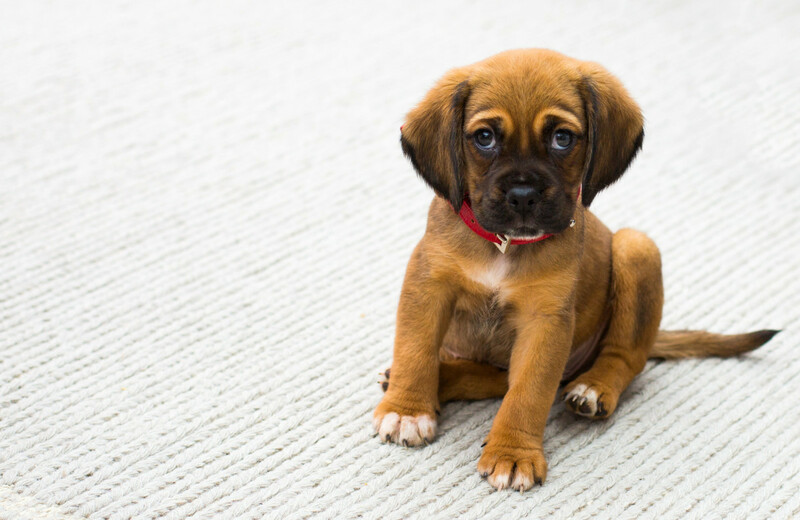 5 Tips on How to Convince Your Parents to Get a Dog Fast! Really great story about pets. Very enjoyable,too. The photos are really nice. The pictures of Annie are cute. Annie looks adorable and cute. I voted up. I really like the part about the pet toad, too.